Whether working with a dog to sniff out contraband brought back from an overseas vacation… or checking out the cargo hold of an ocean-going freighter, immigration and customs inspectors help to protect the public from criminal activity— and dangerous germs and pests. Whenever the country’s borders are crossed, immigration and customs inspectors enforce laws about the people and goods that are allowed in… or out of… the United States. These inspectors work for the U.S. Customs Service, a division of the federal government. 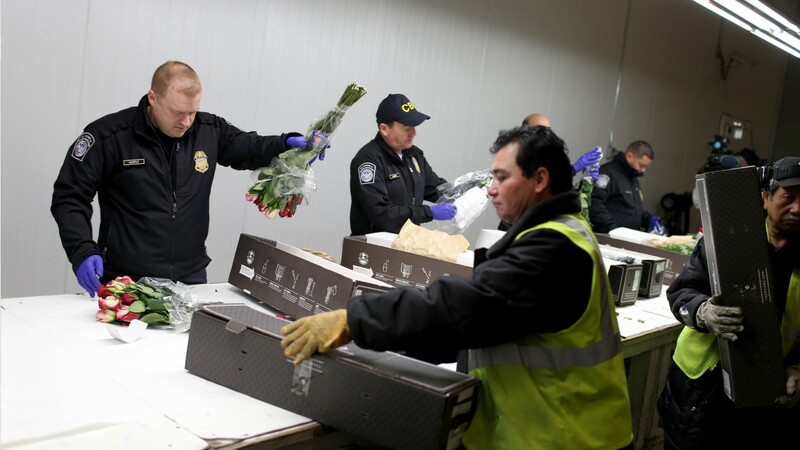 Their job is to inspect cargo on boats, trains, and planes, that enter or leave the country, and to investigate the baggage and personal items carried by people traveling over national borders. They also review travelers’ passports and immigration applications to determine eligibility for entering, or residing in the United States. Customs inspectors carry the authority of law. In their efforts to enforce regulations, they search for illegal substances such as drugs, and can seize prohibited or smuggled articles, and apprehend, search, and arrest people who violate U.S. laws. To become a customs inspector, you must be a U.S. citizen, pass a drug screening test, and pass a civil service examination. Most people in the field have an associate’s degree, or vocational school training. Knowledge of a foreign language may improve your chances of being hired. See more details at O*NET OnLine about immigration and customs inspectors. Immigration & Customs Inspectors by U.S. Department of Labor, Employment and Training Administration is licensed under a Creative Commons Attribution 4.0 International License.